"¡Que comience el matriarcado!" 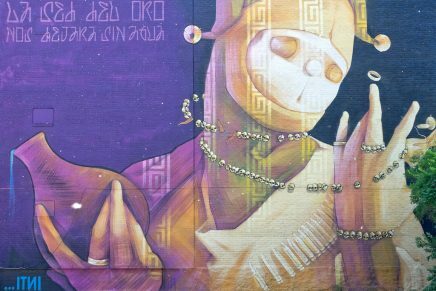 an update on all things Guerrilla Translation - Guerrilla Translation! 2018 was a year of great change and progress for Guerrilla Translation. 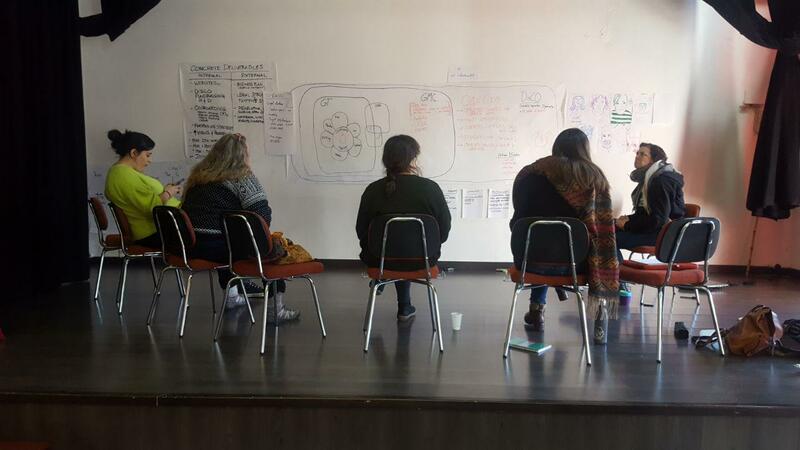 Having secured a Rethink grant from Fundaction, the collective gathered in Hervás in May of that year to reflect on lessons of the last six years, clarify goals and values and solidify the governance model. 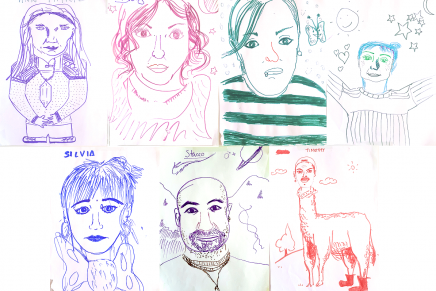 GT enlisted the help of an all-star team of thinkers, moderators and activists to aid in the creative process of revamping and renewing the collective. The May workshop in Hervás helped delineate clear goals and steps for moving forward with the governance model and a new approach towards managing paid and pro-bono translation work. It also gave significant attention to developing onboarding strategies for taking on new members heterarchically, while still honouring the time and effort dedicated to the project by already established members. These strategies included a nine-month onboarding process, divided into three stages, each stage guiding the new members into a deeper level of involvement and greater responsibility to the collective. Much effort was put into ensuring that power and knowledge would be distributed in a systematic and fair way as new members were integrated. The next step was to find these new members and put these strategies to the test. The Guerrilla Translators according to the Guerrilla Translators! Collective self-portrait based on this method. 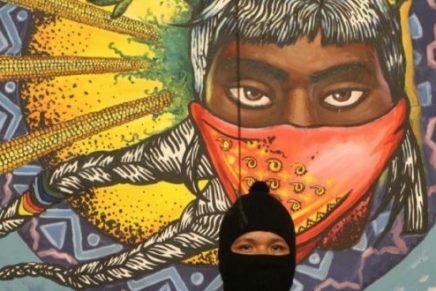 Sara reached out to Stacco for advice in the midst of a capitalism-induced dilemma and was overjoyed to instead receive an invitation to become a Guerrilla Translator. Silvia had originally contacted GT in 2015, looking to volunteer for the collective, but the timing was not quite right. Once the summer of 2018 rolled around, the stars were aligned and Silvia was also invited to join the team. Shortly after this, Stacco and Ann Marie met Timothy at a Berlin Stammtisch evening. The three quickly bonded and quickly began the interview and onboarding process. 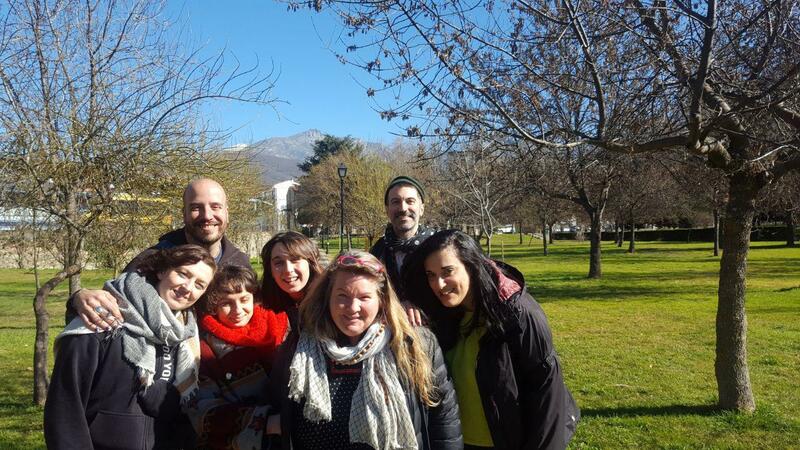 At this point, the team was composed of the three new translators plus Bronagh Gallagher, Natalia Lombardo, Lara San Mamés, Susa Oñate, Ann Marie Utratel and Stacco Troncoso. 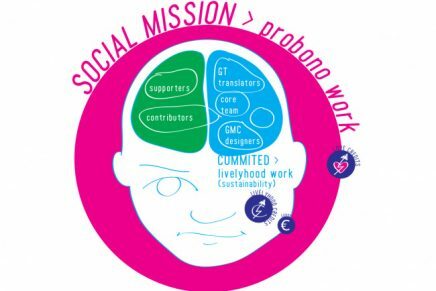 Over the next few months, as the new members began to learn the ropes and start working on pro-bono translations, the whole team worked together to connect across geographic distance and start building group culture. Biweekly calls, daily online communication as well as mutual support and mentoring structures gave members both new and old plenty of opportunities to get to know each other and start developing trust. 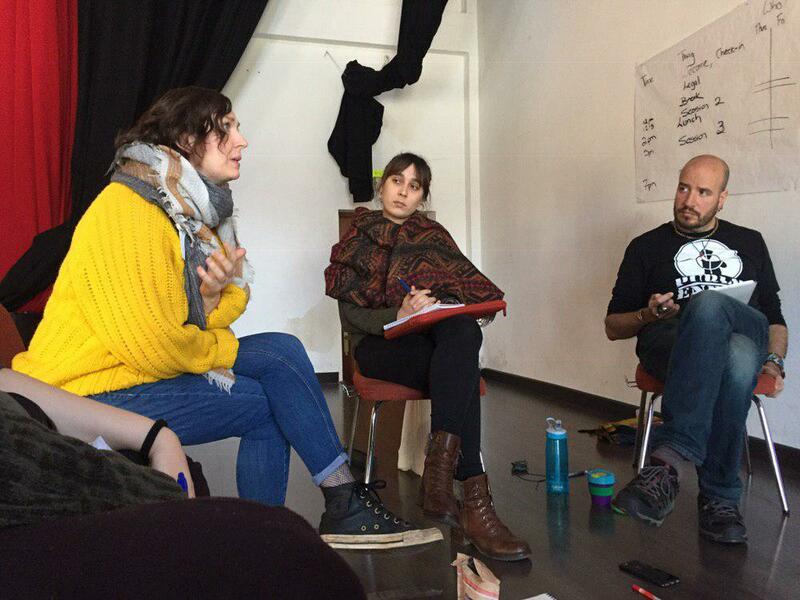 During this time, collaborative long-term projects such as creating Guerrilla Translation’s handbook, discussing the DisCO project (Distributed Cooperative Organizations, the foundation of Guerrilla Translation’s governance model) and researching the best possible legal structure for the collective provided everyone with the chance to learn about each other’s strengths and share knowledge. The long weekend kicked off with the energy of a joyful reunion, despite many of the GTers having never previously met. In various local Hervás haunts, we toasted our good fortune at having formed such an open, eager and like-minded group of people dedicated to a common goal. 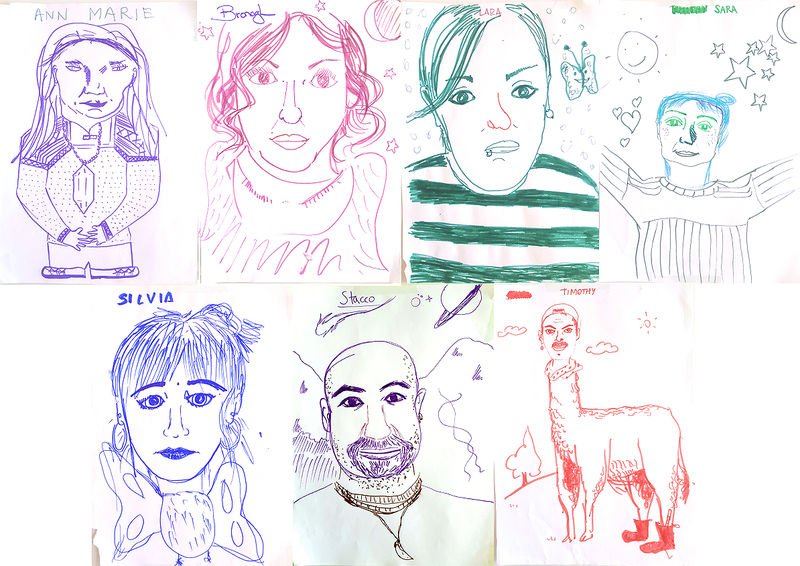 Throughout the weekend we played darts and drew each others’ portraits. We took walks in the woods and drew tarot cards. We cooked and lit candles, meditated and dreamed together. We asked and answered difficult questions and opened up to each other. 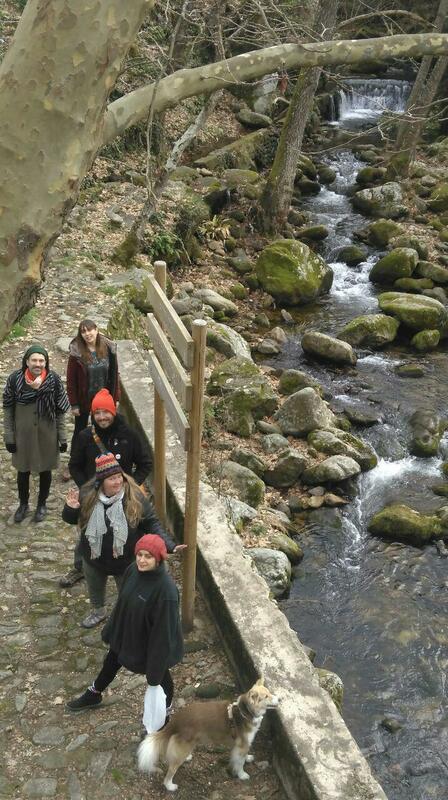 In this respect, without even taking the agenda into account, the Hervás Bootcamp was already a wild success. In between bouts of laughter and cups of coffee, though, we sat down to work on important tasks at hand. 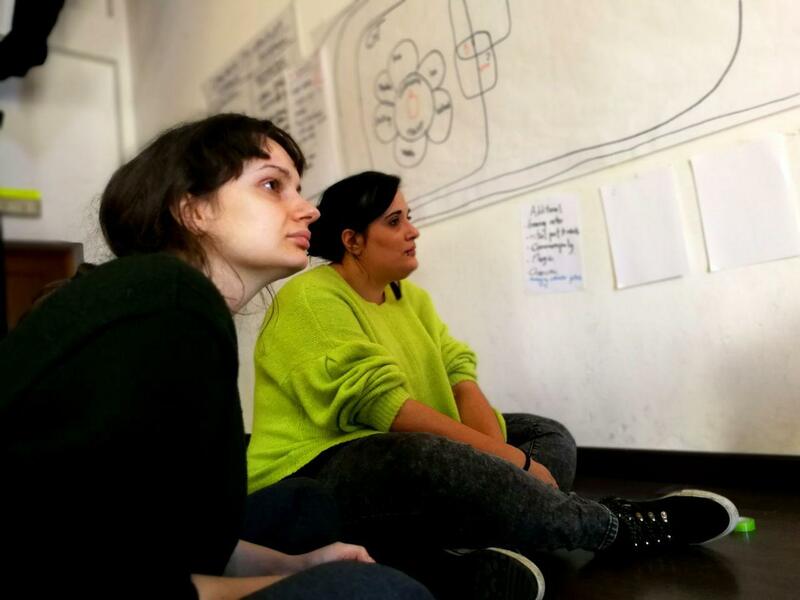 We spent one morning reflecting on our progress so far, noting that we had exceeded expectations in terms of documentation (the Guerrilla Translation Handbook and Wiki), the onboarding of new members and community building. We also took time to note the importance of catching up in terms of fundraising and establishing a new legal entity fit to the unique characteristics of the collective. As this was also a chance to look to the future, we discussed details of how to expand our team to accommodate French translation and how to further develop our social media and outreach strategy. 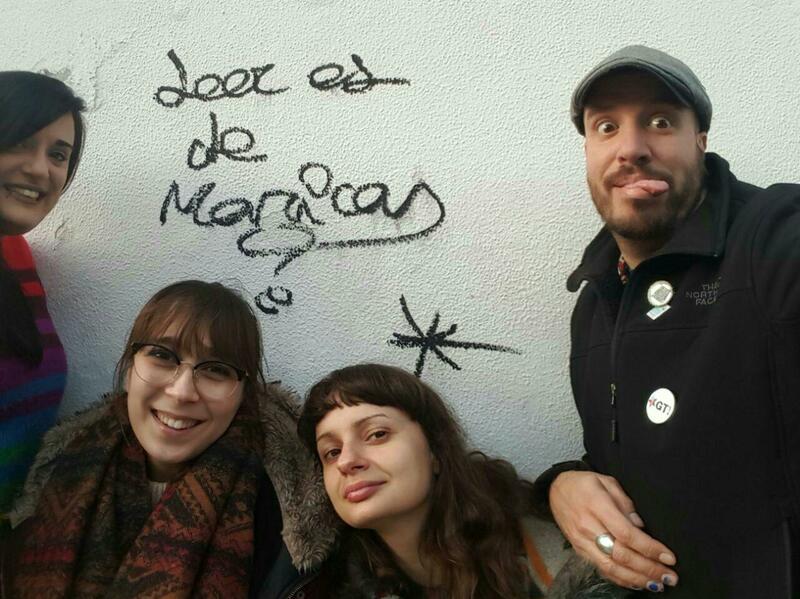 Part of the Guerrilla Translation/Media Collective team in full-on DisCO brainstorming action. A few afternoon workshops were dedicated to skills and training, particularly for the new members. Lara gave a comprehensive overview of all of GT’s social media outlets and possibilities for increasing the collective’s online presence. Extra mentoring in using Guerrilla Translate’s arsenal of tools, blog post editing and documentation on the collective’s wiki was also provided. Our time spent working together was a much needed supplement to the usual online mentoring, filling in the gaps with a human touch. Most significant, though, were the two afternoons spent discussing the DisCO project and Guerrilla Translation’s legal entity options. 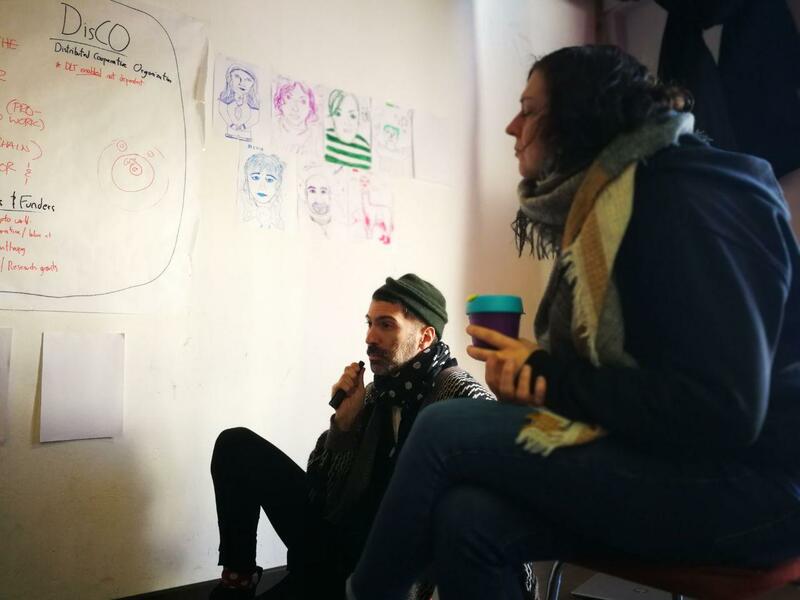 In the DisCO workshop, the genealogy of Guerrilla Translation, Guerrilla Media Collective and DisCO was explained, detailing how these projects overlap, differ and inform each other. The anatomy of a DisCO was presented, outlining the major criteria that a Distributed Cooperative Organisation must fulfill and giving everyone the chance to ask questions and seek clarification. 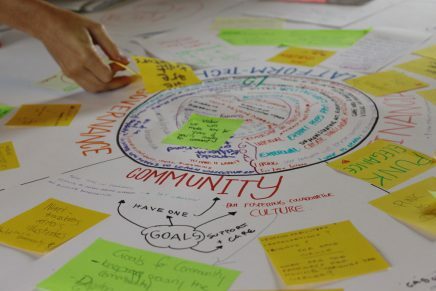 After this, Ann Marie and Stacco, DisCO’s creators, left the space to allow other members to work collaboratively on a creative exercise: create a hypothetical DisCO that fulfills all necessary criteria and present the project as a success story. 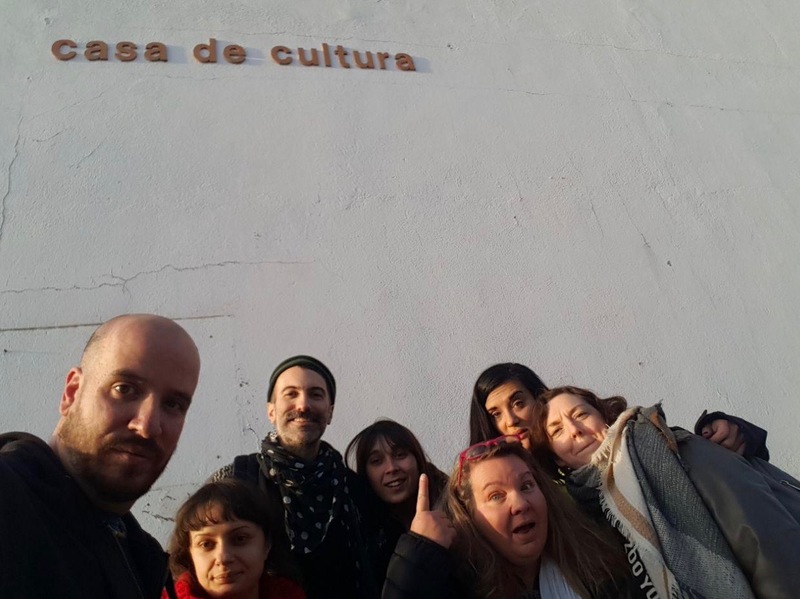 Together the group came up with a DisCO that used cultural tourism in a rural area to fund local language revitalisation projects and activism. The exercise was immensely helpful and gave everyone a much clearer understanding of the DisCO structure and how Guerrilla Translation, as the DisCO pilot project, relates to the larger mission of developing collective, fair and feminist models of governance for projects oriented towards the common good. A separate afternoon was dedicated to discussing Guerrilla Translation’s options for establishing a new dedicated legal structure. Bronagh gave an overview of her research and the different options currently available to the collective. This seemingly daunting task, as well as the challenges it entails, became much clearer, and the group determined strategies for moving ahead with weighing out options and finding the best course of action. Again, we learned how valuable it can be to discuss challenging topics face-to-face when online written communication becomes overwhelming. 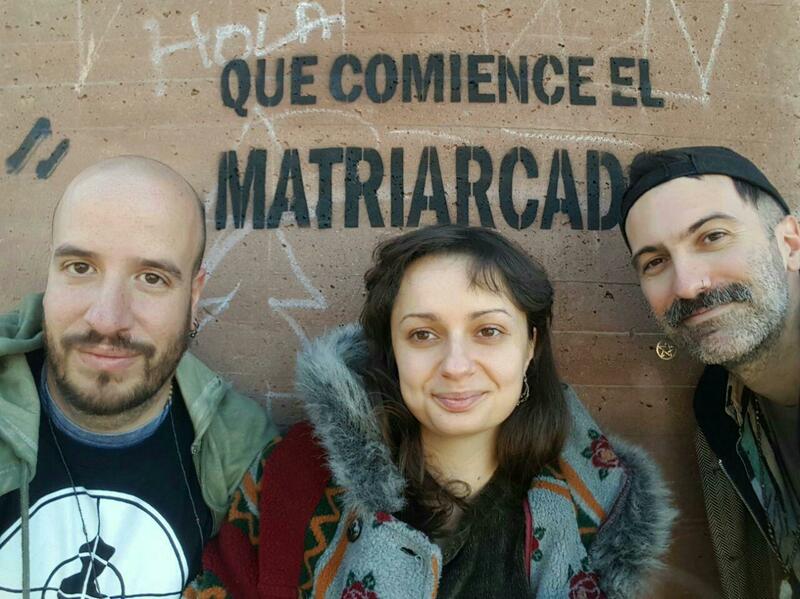 The Hervás Bootcamp was, by all accounts, an amazing, intense and enlightening experience that came just at the right time in Guerrilla Translation’s development. Our weekend together forged strong bonds and solidified trust. It clarified points of confusion and brought new ideas to light. It was also instrumental in shifting the power dynamic of the group—established members had the chance to impart knowledge onto the new members and assume roles other than mentor or teacher, and new members were able to feel much more informed and empowered to take more initiative and assume more responsibility within the group. Feeling euphoric from a magical weekend in the mountains together, on more equal footing and with clearer visions of the future, Guerrilla Translation moves forward. The legal structure and establishment of supportive partnerships remain top priorities, but even as we tackle these tasks, livelihood work is already coming in. The energy resulting from having gathered together will serve us well in the next months, and as the collective continues to grow and we continue to collaborate in online spaces, we will not forget the importance and power of periodically meeting in person to connect, enjoy each other’s company and grow together.